If you're like most companies, you know A) your team's actual vs. goal and B) the number of reps at/above quota. But does that truly give a full picture of performance? We built the Sales Team Grader to provide Inside Sales Leaders a way to benchmark group performance. 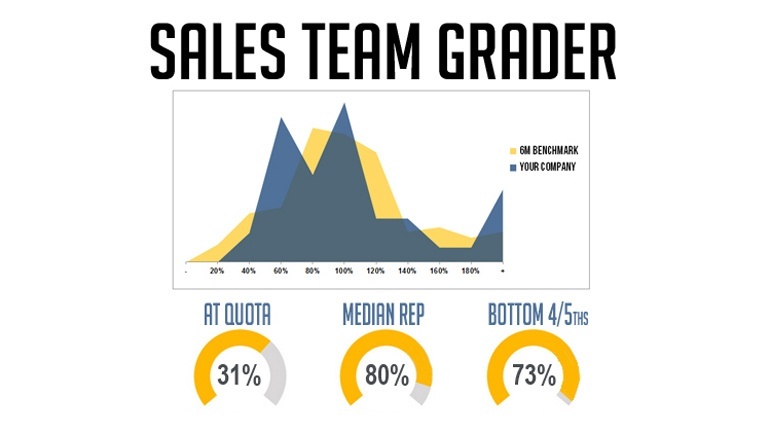 It takes five minute to grade your sales team. Don’t you want to know where you stand? Grade your team. Review your report. Outperform.